Timberland Regional Library is making some proposals that are not making the citizens of Winlock happy. One decision is to limit the library hours of operation to 32 hours per week. Currently, Winlock is open 5 days a week but with the recent departure of the former Librarian Jaime Allwine, it's proposing to change to 4 days a week. Timberland did not include a new Librarian in their budget for Winlock for the budget year 2019. Many families, children, seniors and residents of Winlock have enjoyed our library for years. Timberland Regional Library Board is discussing a pilot plan for Winlock sometime later this year. The pilot plan is a card key access program which would allow citizens to enjoy the library when it is not staffed. They have not stated what hours card key access holders would be allowed to use the library. If you are not familiar with the card key access, it allows you to enter when no one is around and it can also have a time to which you can use the card. In many large cities, access by card keys are used by many large companies, it allows their employees to enter the building during business hours. If you do not have access to the building after hours via your card key, it will not allow you in. One would hope that if they do allow the card key access it would only be available during the daylight hours, the one day the office would not be opened. They can set certain parameters as far as residency, age, etc. Card keys have been used by corporations for years, not once while I worked for a large corporation did we have safety concerns as it was made clear, you did not allow anyone to "piggybacK" or follow you in. Timberland Regional Library Board will only give the card key access to those over the age of 18 years of age and will be given strict instructions on their use. They will also have security cameras throughout the library in Winlock to deter any type of security issues. 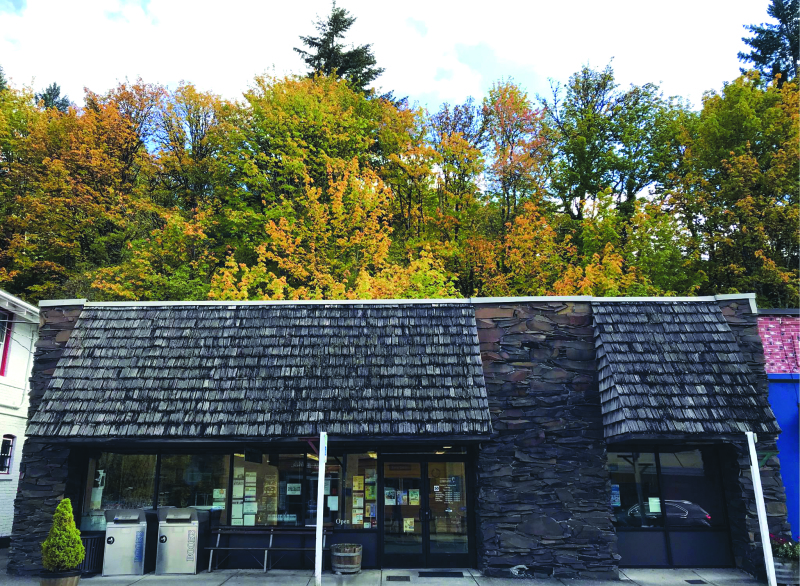 If Timberland Regional LIbrary determines that it will only stay open in Winlock 4 days a week, we hope there is a process in place by the Timberland Regional Board that will allow the citizens of this community to enjoy the library on the 5th day. Wednesday, January 9 is the All Day - Community Chat: Join Trisha Cronin, Timberland Regional Library District Manager for Lewis County, for a discussion about your community. She will spend all day at your library listening and brainstorming with you. There are many changes coming for our library here in Winlock, this is the time for you to come and share your thoughts. We hope to see everyone there to share their point of view.